Tekeste Nurelign cruises to ten-mile win. 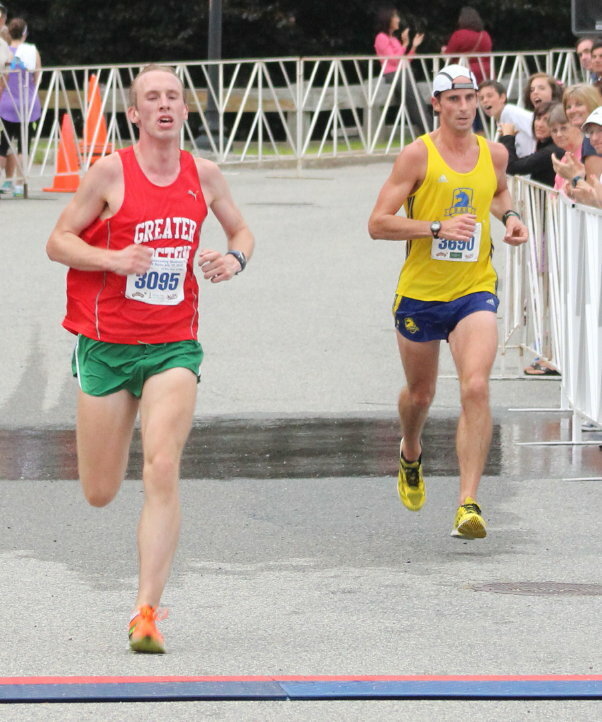 (Newburyport MA) Pat Fullerton (15:04) successfully defended his 5K title on an overcast Tuesday night. 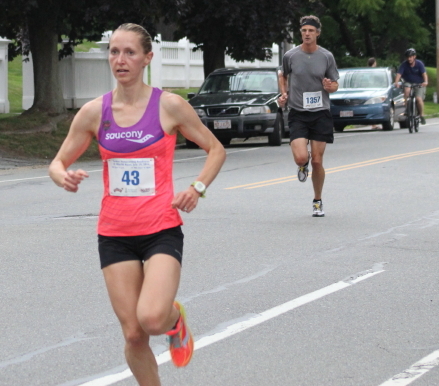 The other three winners in the 55th Yankee Homecoming 5K and ten mile were new to the race. 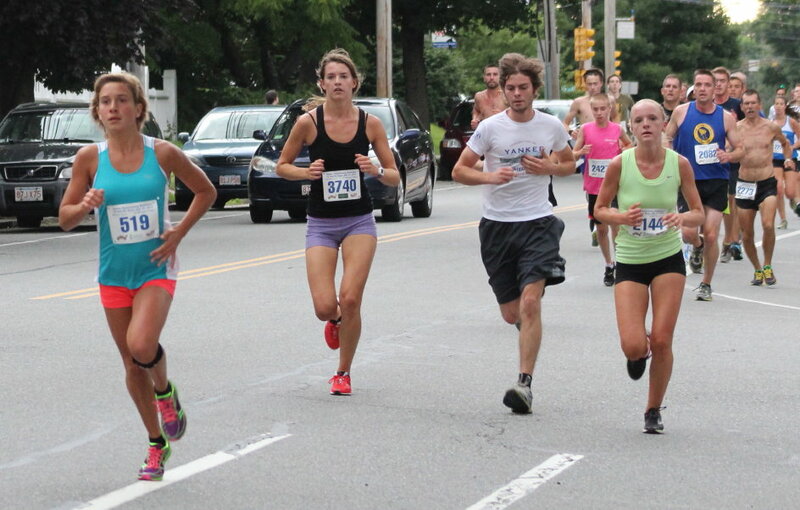 Last year in the ten mile race, the top three finishers were all in view at the end of the race. Not this time. 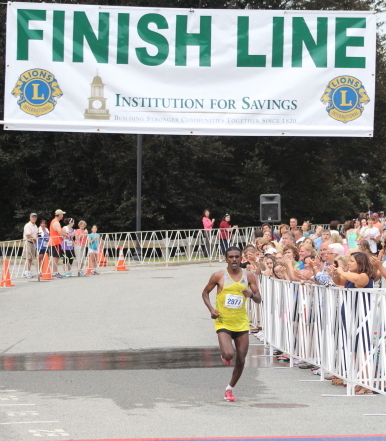 Tekeste Nurelign (49:54) of New York City won by over thirty seconds. 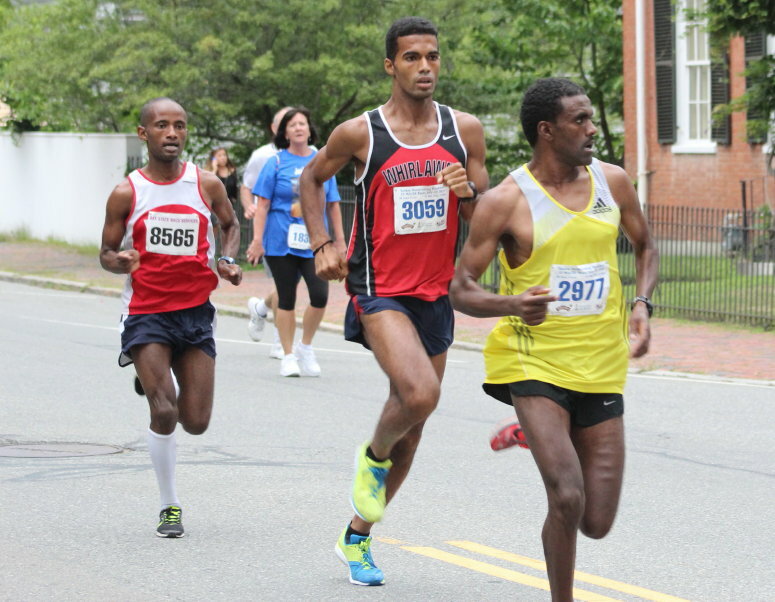 Ruben Sanca (50:30), who took second, had nearly a two-minute lead over Kebede Abu (52:27) in third. Well spread out to say the least! 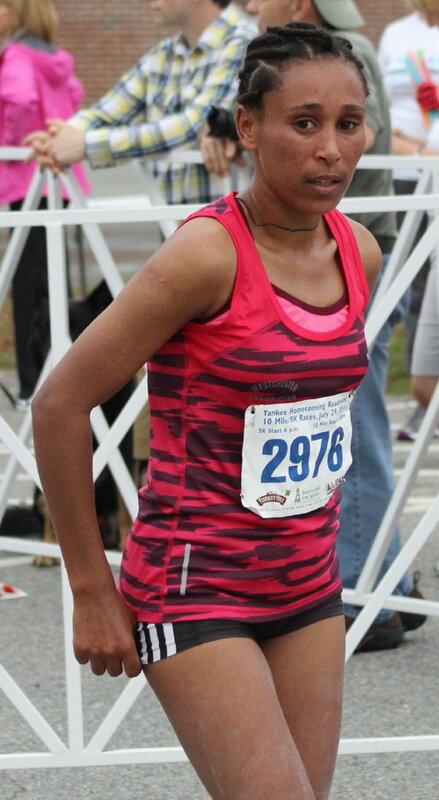 Beverly Antunes (18:29) from Somerville topped the female entrants in the 5K finishing 29th overall. 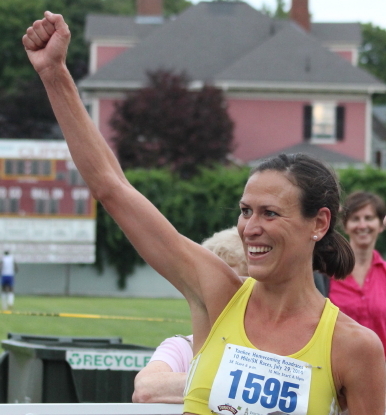 Katie Misuraca (59:54) from Gloucester led all women in the ten mile coming in 40th. 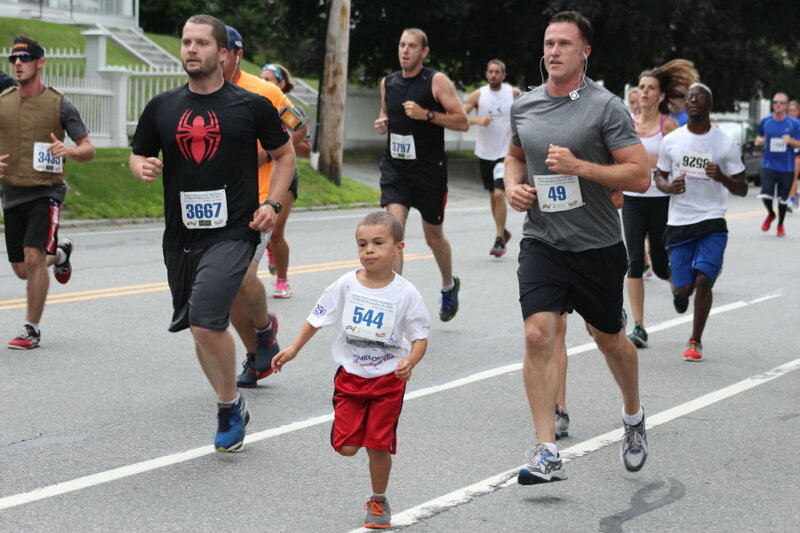 One certainty that I’ve figured out after watching a number of these Yankee Homecoming races is that leaders after a mile are usually the top finishers at the end. 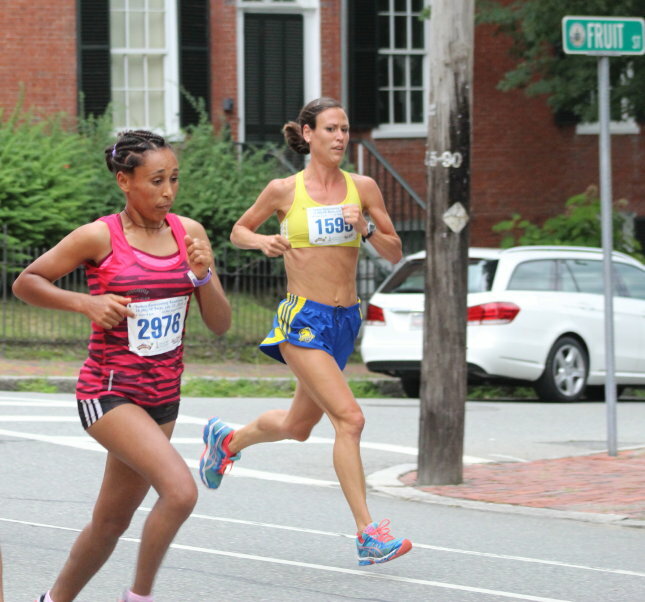 That’s why I like to see what both races look like at the one-mile mark, which is close to the Cushing Museum. The same formula is usually true for the women. Another certainty is that there will be a significant turnover in the runners competing. 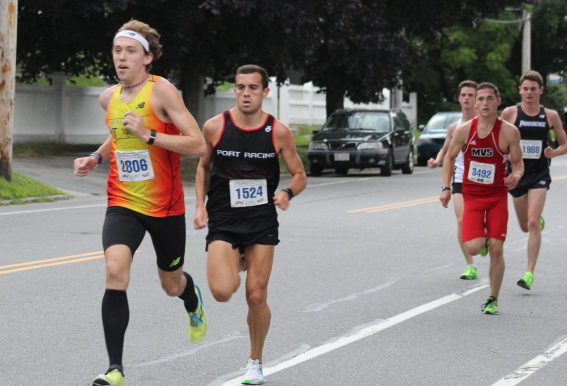 In the 5K, Pat Fullerton (1st), Stephen Robertson (3rd), Lucas Parsons (4th), and Joe Santo (5th) ran it last year. 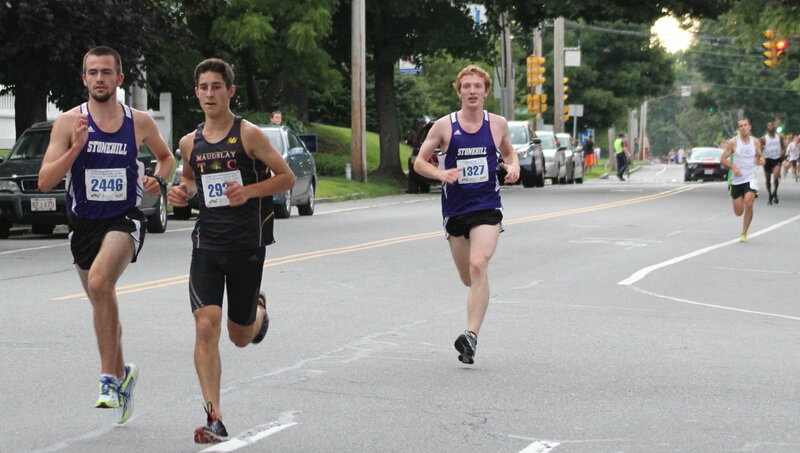 In the ten mile, the returnees were former winner Justin Freeman (5th), Pat Rich (6th), and Jose Ortiz (7th). 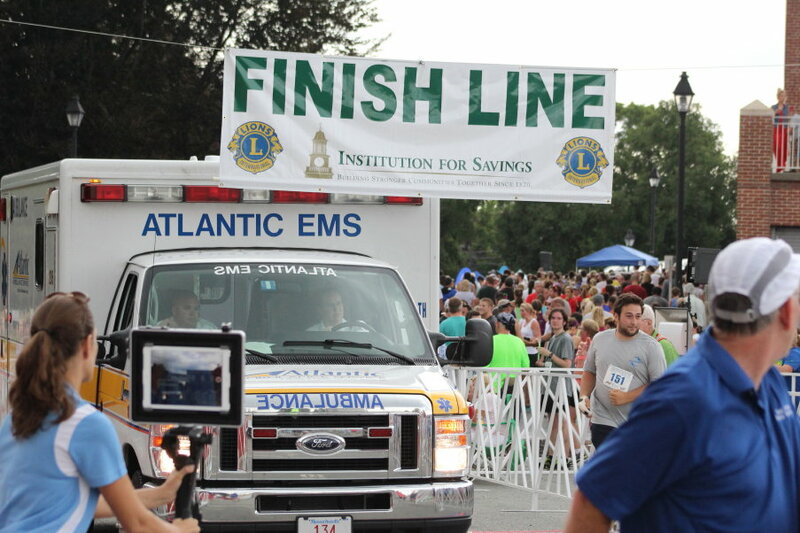 One thing you hope not to see next year is for an ambulance to cross the finish line. 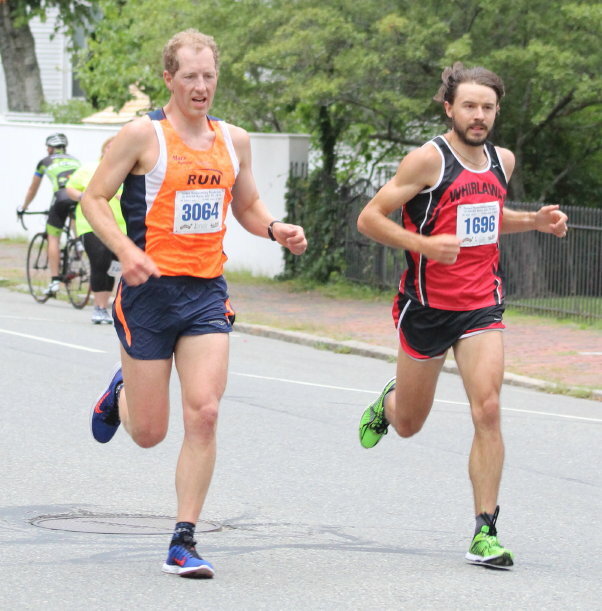 That unsettling occurrence took place as the 5K was winding down and the lead 10-milers were heading to the finish at the high school. The logistics of getting an ambulance into the finish line area were almost as difficult as getting the ambulance back out. The ambulance headed back out just as 10-miler Ruben Sanca in second place was ending his race. Fortunately the gentleman needing the assistance appeared to have recovered from the effects of the 5K he had run before he left in the ambulance. Weather? Looked as if it would rain before the race started but it didn’t. The cooler/cloudy conditions were surely enjoyed by the runners.